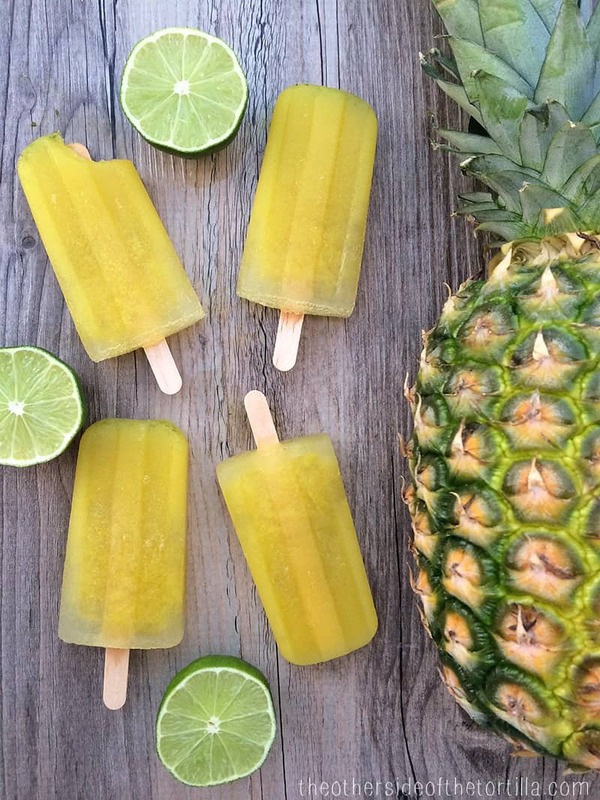 This pineapple, cucumber and lime popsicle recipe is vegan-friendly, dairy-free and gluten-free. I really recommend that you use a juicer for this recipe rather than a blender in order to extract the maximum amount of juice with the least amount of effort, and so you don’t water down the flavor. (A juicer is a great investment for your household if you or your kids like fruit or vegetable juices, or if your family consumes a lot of aguas frescas like we do.) If you don’t have a juicer and need to use a blender, you’ll need to add a little bit of water (a quarter cup to start, and more if needed so your blender doesn’t burn out the motor) to blend with the pineapple and cucumber. Then, squeeze the pulp through either a fine mesh sieve or a nut milk bag to filter the juice, and add the lime zest and juice at the end. Pineapple, cucumber and lime juice make a refreshing, no sugar added popsicle treat! *A juicer is needed for this recipe. Remove the peel from cucumber and roughly chop the pineapple. Put the cucumber and pineapple through a juicer. Using a microplane grater, zest one lime into the pineapple and cucumber juice. Cut the lime in half and squeeze one half into the juice. Stir well to mix. Pour into popsicle molds and freeze for 6-8 hours or overnight. Prep time does not include time in the freezer. Store-bought pineapple juice often has added sugar and preservatives. For that reason, I recommend that you juice fresh pineapple. One pound of pineapple equals about 1 cup of juice, so choose a pineapple that's at least two pounds. Sounds delish. Do you need pineapple juice or pineapple itself? It says to chop the pineapple but in the ingredients it calls for pineapple juice. Sounds great. Gloria, thanks for your question. I went back and revised the ingredient list to clarify that you do need to juice fresh pineapple to get the juice. Store-bought pineapple juice often has added sugar and preservatives. In general, about 1 pound of pineapple equals 1 cup of juice. So in order to get enough juice, choose a pineapple that’s at least 2 pounds. I often buy pineapples at Costco because they’re around $2.50-3.50 for one pineapple depending on where you live, whereas in my regular neighborhood market, pineapples are sold by the pound. Love the combination of ingredients for this popsicles! 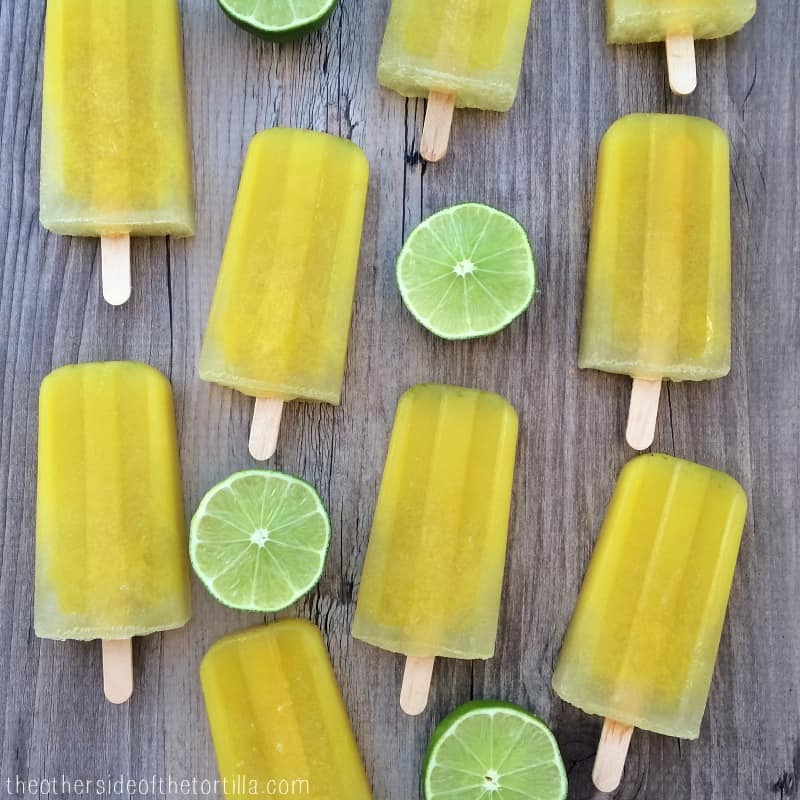 I totally agree that homemade ice pops are way more healthier, they are made with fresh ingredients, even if they contain sugar naturally, they are so much better than added chemicals.